When Apple Pencil was launched with iPad Pro in 2015, around the month of Sep/Oct, I was elated but not sure how it performed. 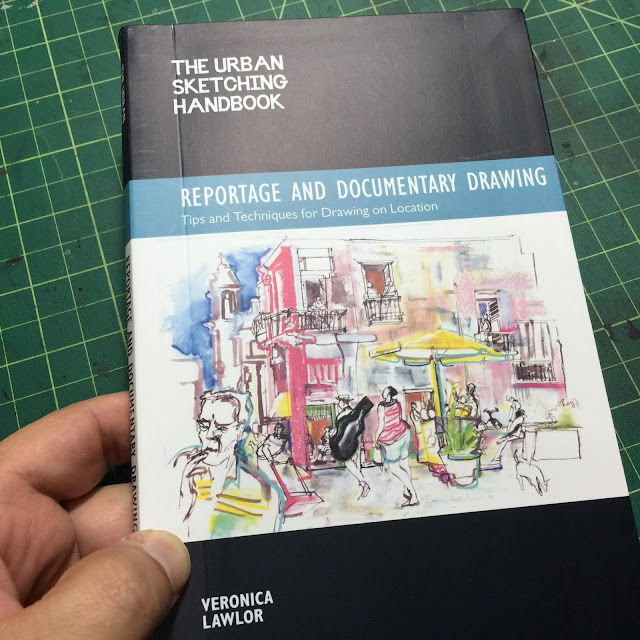 When Robsketcherman, an urban sketcher from Hong Kong did a review on the new devices, I was pretty sure I need to have it because it will definitely change the way we draw on the digital platform. Rob's demo video on the functionality of the Pencil on the tablet was mind boggling and eye opening. By simply tilting the Pencil, Rob was able to produce a thick line and with pressure sensitivity so perfected, the device feels like a real pencil on paper. Later I found out that the APP that goes well with the devices is Procreate. At first I was worried about how well the "Palm rejection" function would work. After watching the video, there was no doubt Apple Pencil is going to change the world of digital drawing on the go! 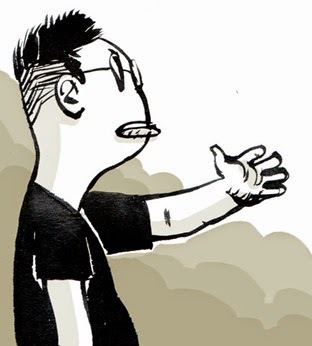 So I have been using both the 13" iPad Pro and Apple Pencil for more than a year, since Dec 2015 when I bought one at Changi Airport on my way out on a free and easy travel to Taipei with my wife to enjoy a 7% discount on the tax. I bought the Apple Pencil later in 2016 after I got back from the trip because everywhere it was sold out. I was so happy with both the devices and Procreate I went around sketching with them for almost 6 months straight. The only thing I was unhappy about the Apple Pencil is, the surface material is too slippery and the barrel is made too circular and narrow like a pencil. 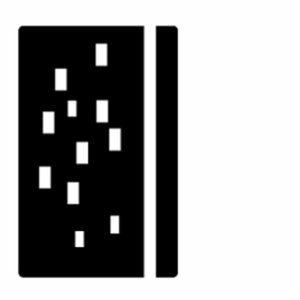 I like using tools with a thicker width. The cap covering the charging port is also easily dropped. In fact I lost my cap on a trip to UK. 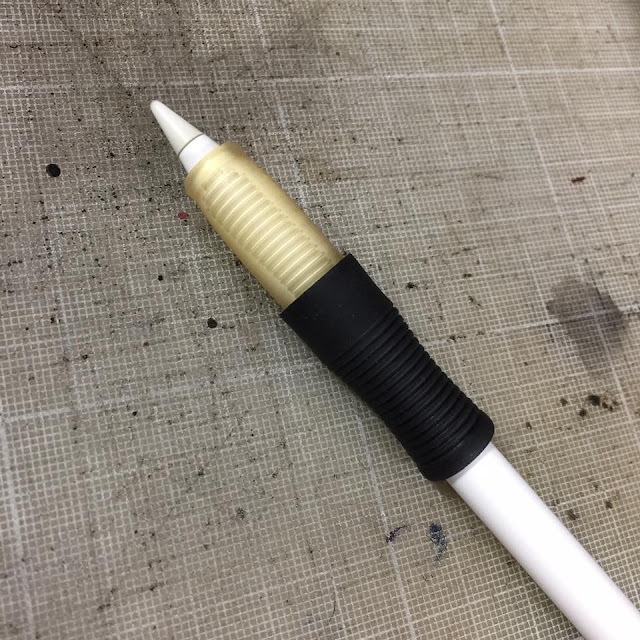 Finally just recently I decided to make some modification to my Pencil, after hearing so much about how other people inserted rubber sleeves they got from other tools over the barrel of the Apple Pencil to help with over coming the slippery surface. 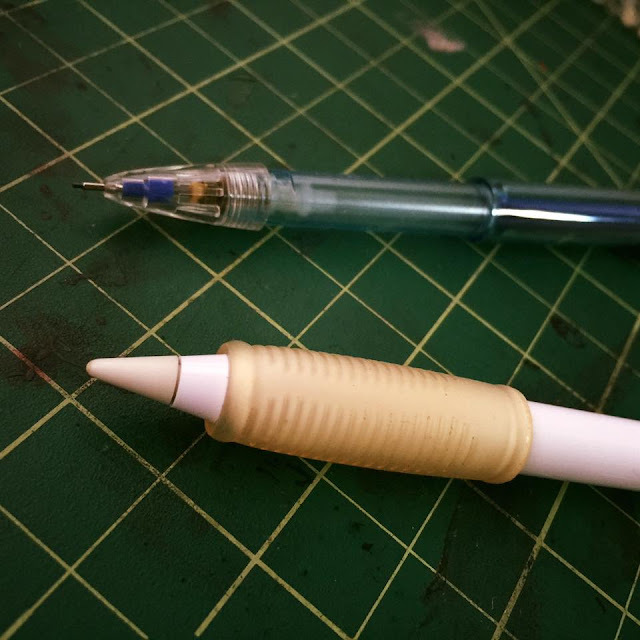 I found a mechanical pencil eventually and used its sleeve on the Pencil. It was a tight fit which I was happy about but it could only go so far in. The sleeve ended up quite near the tip and added too much weight to the tip end of the pencil. But I wasn't to happy yet though it worked pretty well as I do not like to hold the pencil too near the tip while I draw. The I chanced on another pen I got free from a road show. It has a sleeve which has a wider diameter and fit loosely so I could push it higher up the pencil body. This therefore allow me to hold the pencil higher up the barrel. It is more comfortable for me to draw this way. Finally I decided to put these sleeves together. Here's the result. 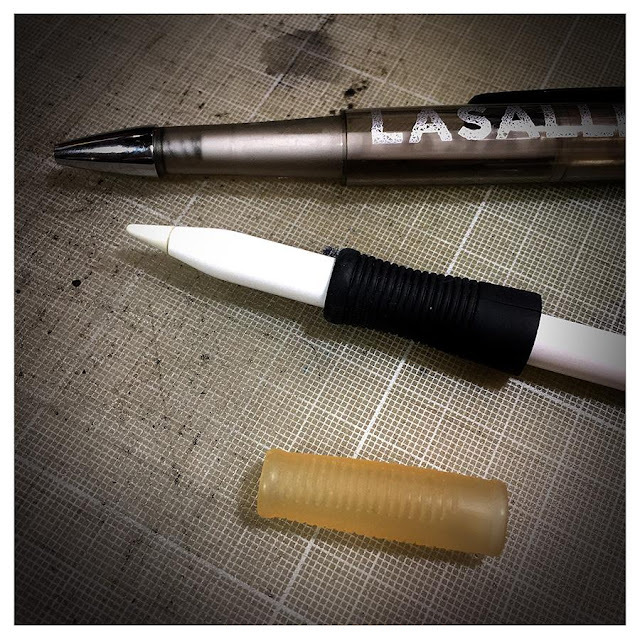 I inserted the larger sleeve from the back end of the Pencil with the broader end going through first. As it reaches the first sleeve, it covers the latter nicely creating a even broader grip. This by far is the best mod I have done so far.